Titanfall is a lot of fun, but there's no denying that it feels a little… thin. The game's exclusive focus on player-vs.-player combat left many of us wishing for a bit more variety. Good news: The game's latest update will add a cooperative mode to the game, and it looks pretty cool. The mode is called "Frontier Defense," and it's a four-player co-op mode that uses existing maps and sets players about defending towers from waves of computer-controlled enemies. 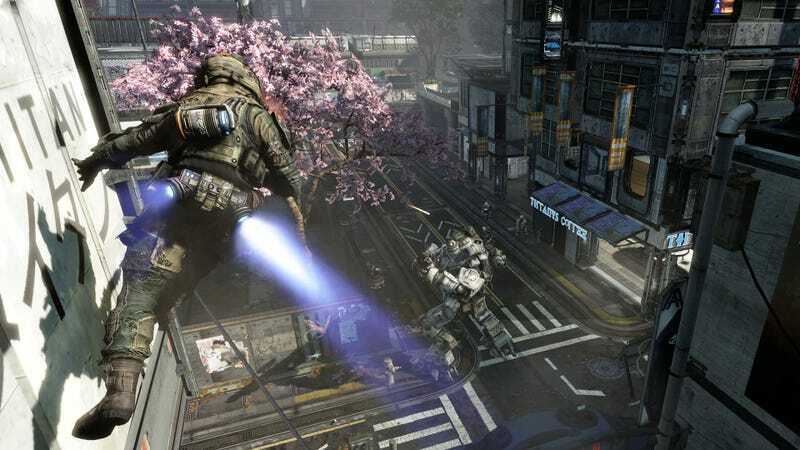 Titanfall developer Respawn debuted the new mode today on Twitch. Frontier Defense looks pretty cool—players can set up automated machine guns, strategically place their titans, and even fight from a drop ship that hovers over the battlefield. While at this point it feels fair to say that this sort of thing should have been included in the game at launch, better late than never. Respawn will doubtless have more detailed information soon, including when the update will go live, and for which platforms. The update will adding some other features as well, including Marked for Death Pro, which is a single-elimination round-based take on the popular Marked for Death mode - if the marked player gets killed, a point is awarded and the round ends. There's also a mode called Deadly Ground, a modifier for existing game modes that Respawn calls a "Floor is Lava" mode, which fills the levels (not every level works, they say) with electrified fog, forcing players to use wall-running to keep from touching the ground. The fog also causes constant damage to your Titan. They also detailed a new ranked play mode, and say that they'll be adding a few new voices for your onboard Titan AI, among other things.